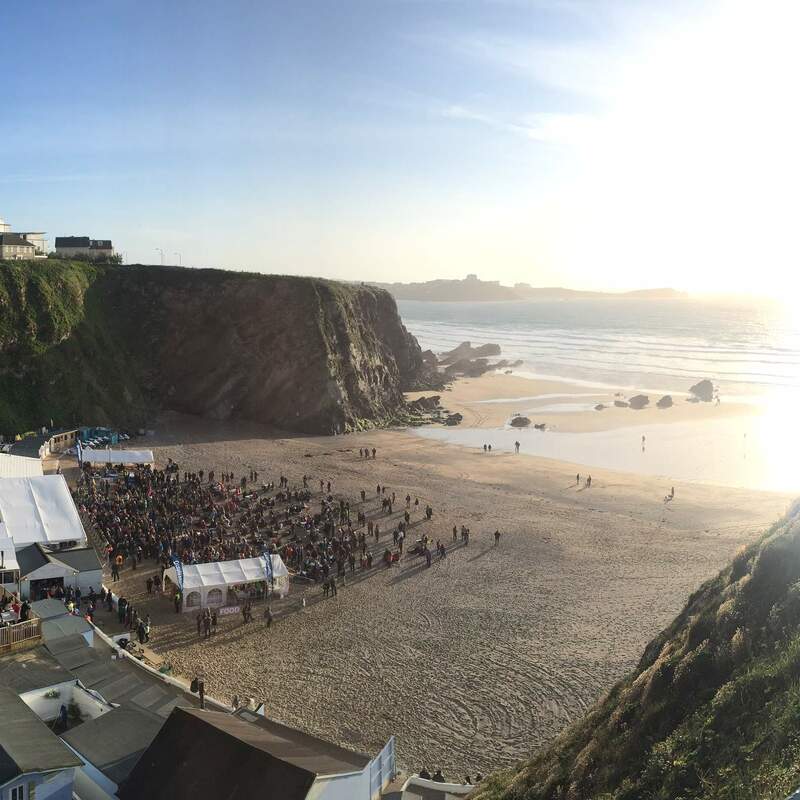 Having heard a lot about the Sundowner Sessions that take place at Lusty Glaze, we were intrigued to see what it is about these events that make them so special. Arriving to a simply stunning view out across the beach and to the sea beyond, the reasons soon became abundantly clear. 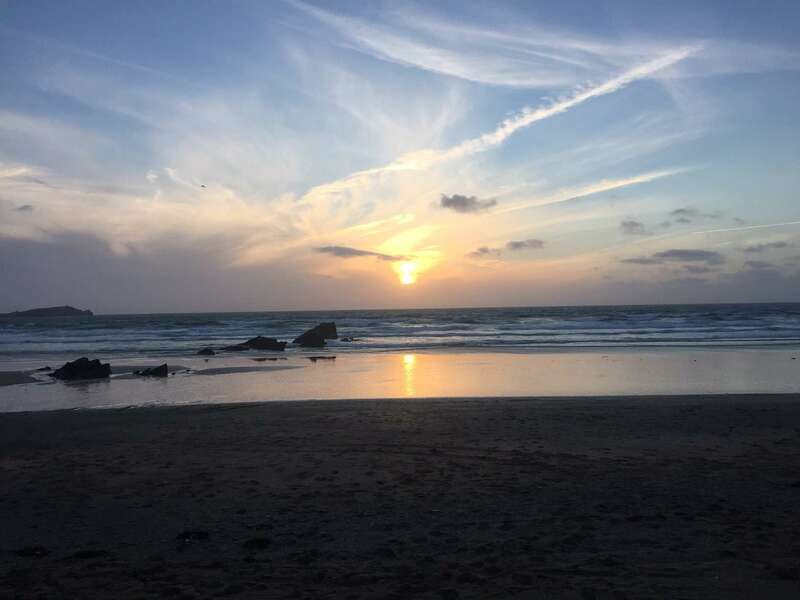 Having stood on the cliff top overlooking the beach and taken many photographs, myself and the rest of the We are Cornwall team began our descent down the many steps towards the sand. The climb down is well worth it. 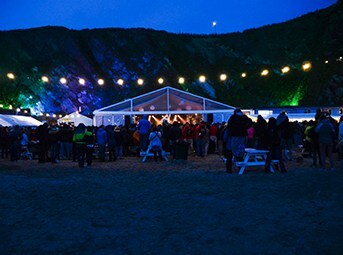 On arrival at the beach we were greeted with the sensual treat of a truly spectacular setting, the smell of delicious food in the nearby marquee, and of course the sound of great music reverberating around the cove in the form of the evening’s first support act - Winter Mountain. Heading straight for the bar we each chose our tipple of choice (a glass of cider, wine or beer cost £5) before picking up a a really tasty vegetable curry each – having all been enticed by the aroma of this mouth-watering dish (£5). Finding a spot on the sand towards the back of the gathering crowd we made the most of both the music and views on offer; watching the sun start to go down towards the sea whilst sitting back, relaxing and enjoying the second support act of the evening - William The Conqueror. 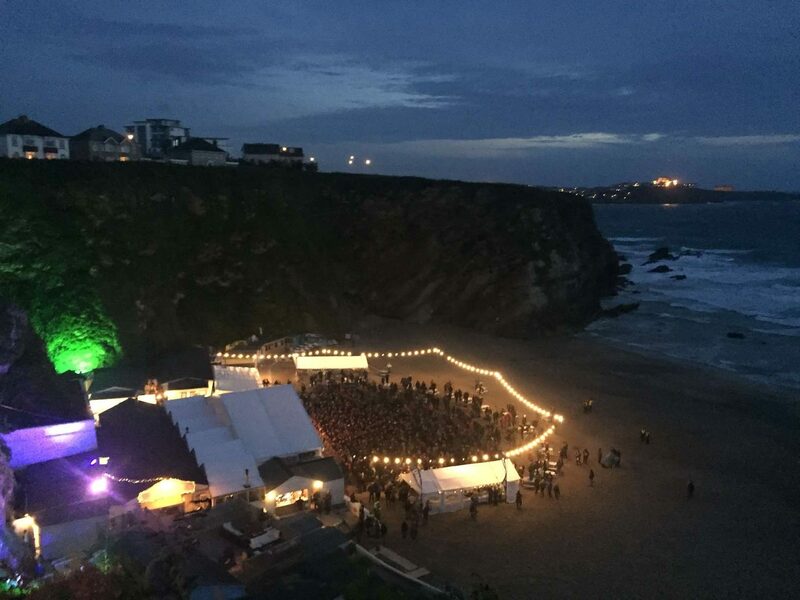 As the evening progressed and the headline act, Guy Garvey, took to the stage even he couldn’t resist commenting on the scenery before kicking off his set saying “well this might be the most beautiful spot for a gig ever”. 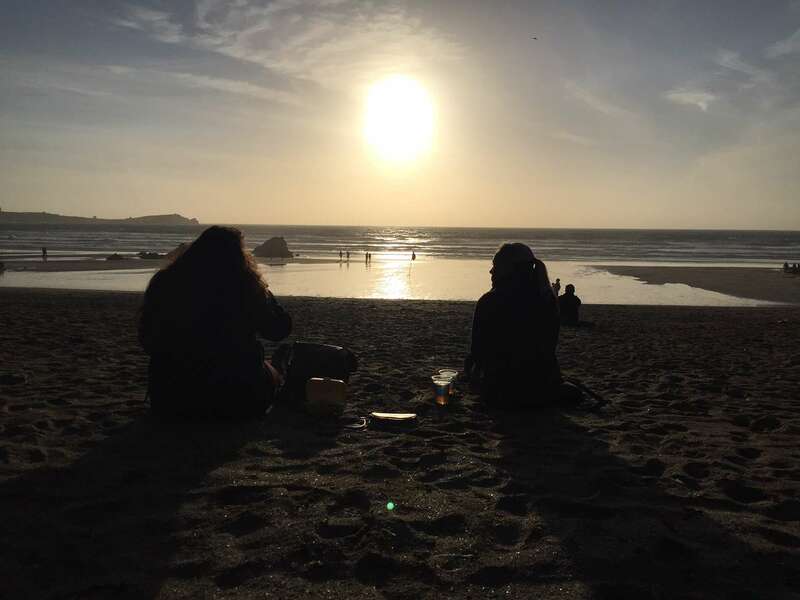 As the music rolled on, so did the sunset behind us – providing a truly unique backdrop that we had certainly never experienced at a concert before. Guy Garvey was fantastic and as the end of the evening drew near we all enjoyed singing together with the rest of the crowd as darkness fell - the vibe was definitely a relaxed and thoroughly happy one. Making our way back up the steps, there were many comments about how unbelievably beautiful this unique venue really is. As a group we had already decided before reaching the top that we would be coming back for another event very soon.